"Excellent value for money. Always a very quick response when I have a question. Very supportive and helpful. Who needs telephone support ?" Login to your customer area to view, pay invoices, update contact information, upgrade/downgrade your hosting package and much more. If you are a customer prior to 21st October 2007, please log in to your customer area using the link below. This is a secure form page and uses full 128 to 256-bit encryption. We would greatly appreciate, if you could leave your valuable feedback. Nominet is currently running a promotion from 1st of April 2018 until 30th of April 2018. 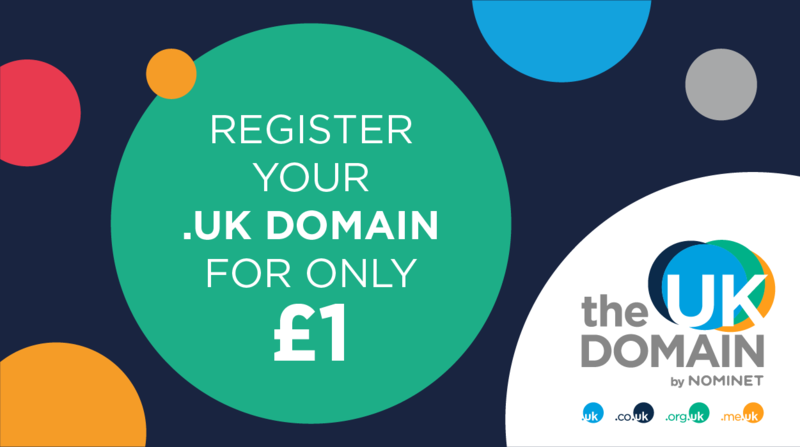 You can register .UK (.co.uk, .org.uk, .me.uk and .uk) domain names from only £1 + VAT. Use Promo code: Nominet to apply the discount. Please Note: Discount applies to first year of registration only. Renewals are not subject to any discount.